Here are 4 reasons why your pediatric dentist will try to avoid pulling a baby tooth with a cavity. Baby teeth do more than make adorable smiles. 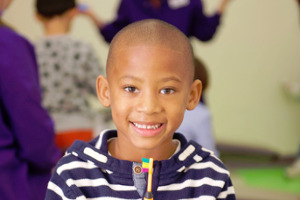 Indeed, they help guide the growth of your child’s adult teeth, while maintaining the proper spacing. Just as baby teeth grow in a particular order, they exfoliate–that is, shed or fall out–in a somewhat predictable pattern as well. For example, a child’s two front teeth typically exfoliate between the ages of 6 and 7. Their lower molars, in comparison, will not shed until the child is 10 to 12 years old. This pattern and timing of shedding baby teeth direct adult teeth when and where to grow. When all goes smoothly, a baby tooth falls out at just the right time to leave a space for the adult tooth to erupt. Likewise, the remaining adjacent teeth direct the growth of the incoming tooth. As a result, pulling a baby tooth too soon can negatively impact the growth of your child’s adult teeth. When a baby tooth is lost prematurely, the adjacent teeth can start to shift to fill in that space. This shifting, in turn, can cause a couple of problems. First, the lack of space means the incoming adult tooth no longer has a clear path or space to occupy. Hence, it may grow in at the wrong angle, in the wrong spot or it might get trapped below and not erupt at all. Second, as shifting occurs, a child’s bit changes, and usually, these changes are not for the better. Rather, such bite changes will often require future orthodontic treatment to correct. For these reasons, when a child loses a baby tooth prematurely, your dentist will use a space maintainer to help replace its function. Surrounding baby teeth help guide an erupting adult tooth to the right place and the right angle. Let’s be honest. Pulling a tooth is never without some discomfort. Indeed, children can experience minor pain, swelling, and bleeding after your dentist extracts a baby tooth prematurely. Also, they may face food restrictions as the tissue heals. Finally, a pulled tooth means a chance that germs can enter the wound and cause further infection and discomfort. Of course, if your dentist decides this treatment is necessary, they will help you take all the precautions necessary to minimize discomfort and encourage a fast recovery. Nonetheless, your dentist will want to avoid this option if at all possible. Ultimately, not all cavities are created equal. Different stages of decay respond to different types of treatment, all of which aim to save the tooth if at all possible. Additionally, these options come with other benefits to the child as well. Namely, other treatments are much less invasive. Hence, dentists view tooth extraction as the last resort, even when it’s a baby tooth involved. Understanding the different levels of tooth decay and their corresponding treatment options can help your child avoid losing a baby tooth prematurely. Incipient Caries: Fluoride Treatments to the Rescue! This stage marks the beginning of tooth decay. Often, a white spot appears on the tooth which indicates some demineralization of the outer tooth layer (the enamel) has occurred. If caught at this stage, many of these early cavities can be treated with one of the following fluoride treatments. Enameloplasty and Fluoride: This treatment option involves two steps. First, your dentist uses a handpiece to take off a few millimeters of enamel. Then, they follow up fluoride applications every 3 months with close monitoring until exfoliation. Silver Diamine Fluoride: Your dentist paints this special type of fluoride, knowns as SDF, directly onto the decay. Then it gets to work by stopping the decay from progressing any further. Since neither of these treatment options involves any real drilling, children easily tolerate them. They also cost much less than a tooth extraction, which caregivers also appreciate! Dentin-Level Caries: Fillings to the Rescue! A baby tooth’s layers are thinner than an adult tooth. Hence, decay can more quickly penetrate through the outer enamel layer and reach the next layer, the dentin. Once decay reaches this part of the tooth, a filling becomes the preferred treatment. At this stage, dentists remove the decay with either a traditional drill or dental laser, and then they fill the space with a white filling. As a result, the tooth remains strong and healthy enough to stay in place until it wiggles itself loose natural when the adult tooth erupts underneath it. Pulp-Level Caries: Baby Root Canals to the Rescue! If a decaying tooth is left untreated for too long, eventually the decay can reach the nerve, or the pulp, of the tooth. At this stage, your child is likely experiencing great discomfort, and you may be the most tempted to pull the tooth. However, a pulpotomy or pulpectomy offers a way to treat the infected tooth and nerve, while maintaining the tooth. Thus, pulling baby teeth with cavities at this level still may not be a necessity. Once your dentist removes all of the decay from the tooth and treats the nerve, they will often need to place a crown on top of the tooth. 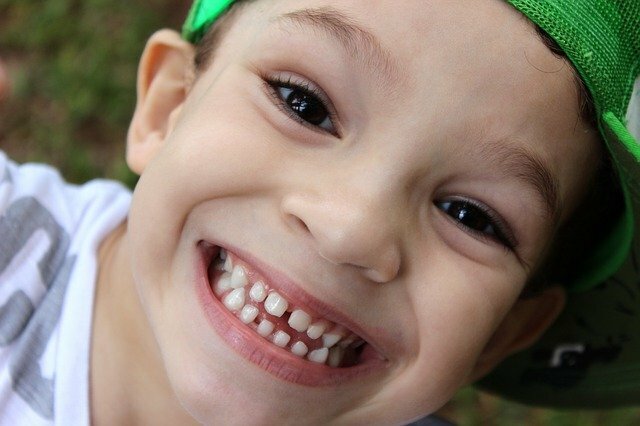 Your child’s mouth, therefore, maintains its bite and the crowned tooth guides the incoming adult tooth as it should. 4. Ultimately, pulling a baby tooth prematurely is rarely needed. Of course, there are exceptions to every rule, but tooth extraction is rarely the best or only option for treating baby teeth with cavities. Visiting your child’s dentist regularly can ensure you catch decay in the earliest levels, so your child can enjoy the least invasive treatment options available. Great Beginnings Pediatric Dentistry offers all of these great options for treating cavities in your child’s baby teeth. Pediatric dentists Dr. Laura Adelman, DMD, and Dr. Rachel Rosen, DDS, are accepting new patients under the age of 12. Call today to schedule you’re child’s first appointment, or fill out our contact form. Our office is located on the borders of Solon, Ohio and Twinsburg, Ohio. Thus, we’re a quick drive from Macedonia, Aurora, and Hudson, Ohio. Great Beginnings Pediatric Dentistry, all rights reserved Do You Know These 9 Tips on How to Prevent Tooth Decay in Toddlers?